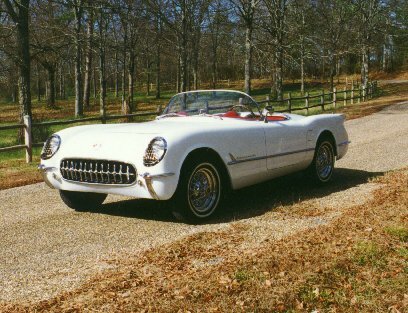 The first Corvette saw the daylight in January 1953 at Waldorf Astoria hotel in New York. 300 Corvettes were built that year and the all were white with red interior and came with Powerglide automatic transmission and a 150 HP six cylinder engine. It is the rarest of all Corvette model years.